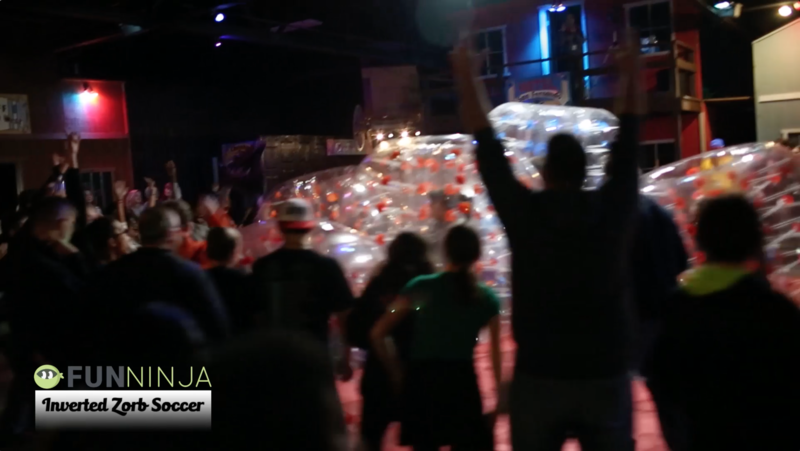 Bubble Soccer is one of those new fads that rock! Who doesn’t like running full speed at someone else, colliding and not getting hurt. This game is so fun!! 1. 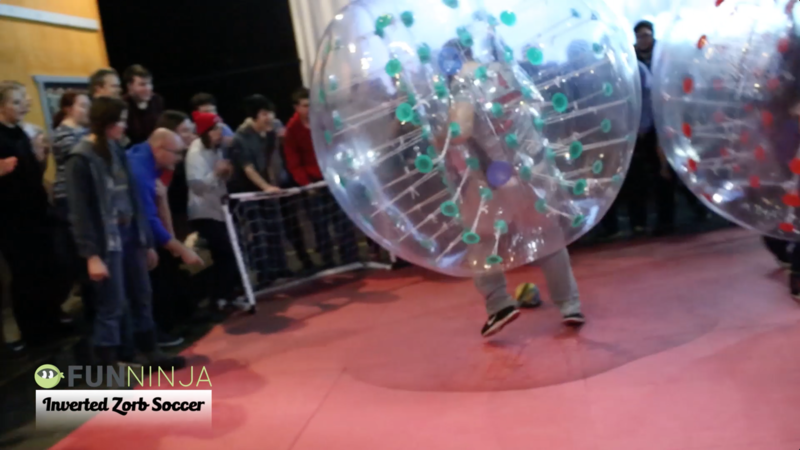 Bubble Soccer. 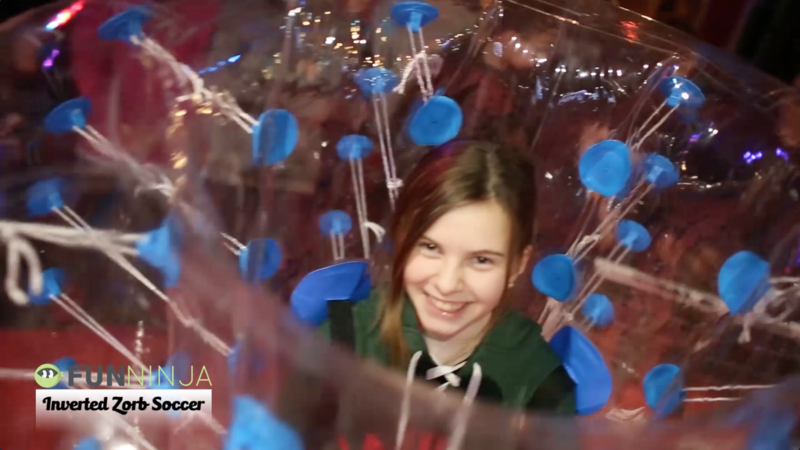 We bought a set of bubble soccer bubbles for our winter camp. You can rent these and make a special event around them! 2. Ball. We used a minion ball that we picked up at Wal-Mart. 3. Goals. You can use cones or simple mini-stick / mini hockey nets. Whenever you have lying around. 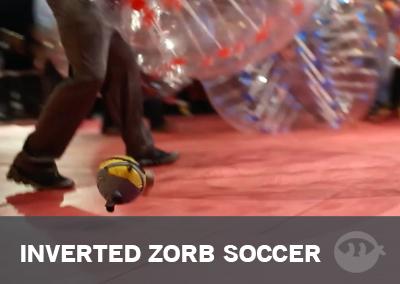 Mats: Since we had the zorbs we put down a whole floor of mats to protect them. If you don’t have mats just make sure the floor you are using is clean and free of any sharp objects. As opposed to traditional soccer where you want to get your ball into the other persons net, in this game the goal is to get the ball into your own net. Drop the ball in the middle of the playing field and let the teams go at it. We have 2 players for each corner with a total of 8 players at a time. The first team to score in their own goal gets a point. We then switched out the players so more people could play.